Professor Richard Parrish is the Director of the Centre for Sports Law Research at Edge Hill University. His research explores the interface between sport and European Union law. He is author of two monographs and two edited collections and he has co-authored sports law reports for the European Commission and the European Parliament. Professor Parrish is a member of the European Commissions Group of Independent Sports Experts (2010) and acts as an expert adviser for the European Commissions TAIEX programme with work having been undertaken in the Ukraine, Albania, Belarus and Turkey on the approximation of European laws relevant to sport. He is also a Specialist Adviser to the House of Lords Inquiry into Grassroots Sport and the European Union (2010/11). He is Honorary Chair of the Association for the Study of Sport & the European Union, a group now numbering over 300 members. 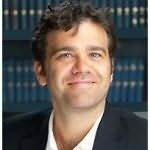 Professor Parrish is an editorial board member on the International Sports Law Journal, the International Journal of Sports Policy and Politics, Sport and the Law Journal and the European Sports Law and Policy Bulletin.